I was lucky enough to attend this year’s festivities, and one particular film really caught my attention. 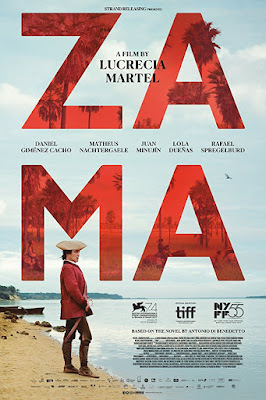 Originally premiering at the 74th Venice International Film Festival, Zama is an Argentinian art house film about the late 18th century Corregidor (a local administrative and judicial official) Don Diego de Zama, a Spanish crown officer awaiting his transfer from his lowly South American assignment, to the city of Lerma. Directed by Lucrecia Martel and based on the 1956 novel by Antonio Di Benedetto, it follows the Corregidor (Daniel Giménez Cacho) through a landscape of the senses, inside a waiting man’s purgatory. Pushing the boundaries of what can be classified as a narrative film, Zama relies heavily on repetitive sounds and disorientating visuals to give the audience the feeling of mild madness, as Zama’s wait for transfer seems never ending. We all know that being told a story, and living that same story, are two completely different experiences. When David Lynch talked about how to properly watch Twin Peaks he said, “I recommend getting whatever screen you’re looking at as close to your eyes as you can get, and use headphones. Turn the lights down. And then you have a chance of getting into a new world.” Films that emphasize the senses of sight and sound over linear storylines are those that bring us closer to the type of world immersion Lynch is describing. Danny Boyle’s Sunshine (2007) and Shane Carruth’s Upstream Color (2013) also embody this technique. And like these three, the world built by Martel in Zama is an auspicious transport deep into the colonized lands of 18th century South America. The audience lives as Diego lives; through long hot days, unsure of what is happening around him, and chasing ghosts both within and without. The goal post for being allowed to leave his assignment keeps getting moved, and Don Diego de Zama is given the task of catching the notorious criminal Vicuña Porto (Matheus Nachtergaele), a man that man or may not be dead. Like a man assigned to the impossible task of swimming the Pacific, Diego becomes fatigued and disoriented as he travels the dark corners of the colony, taking the audience with him as he descends into a mental state bordering on insanity. It is a descent that sends electric currents through the viewers’ nervous system as vivid images and soundscapes are poured into our eyes and ears. And like Diego, you are left to feel like you are in the midst of a never-ending maze. Zama surgically implants nerve endings into a small chapter of Spain’s long history with colonizing the Americas. It is a stranger in a strange land tale of a man, unwillingly moored to the shores of a country, with the goal of bringing European order to people who never had or desired this kind of order. It is the sensory exploration of the vinegar-in-water experience of colonization. 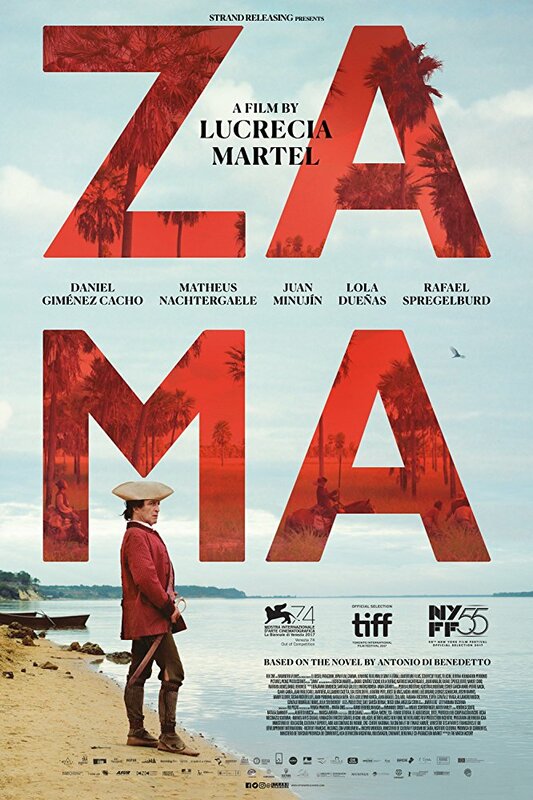 Winner of 6 awards and nominated for 24 others, Zama’s intense cinematic experience should earn it a place on any cinephile’s list.